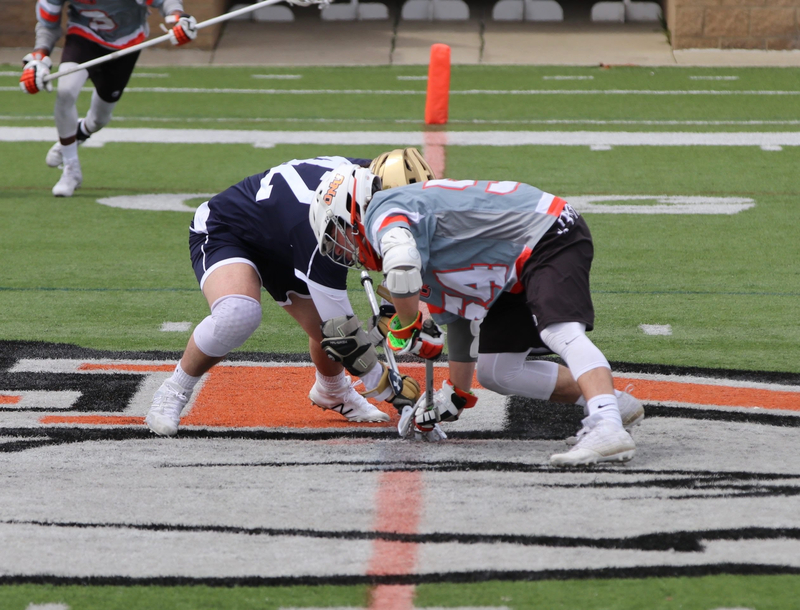 Preston Victory (BLC 2017 - M/FO) is preparing to play in his second season with the Ohio Northern men's lacrosse program. The Polar Bears are scheduled to open their 2019 regular season under fourth-year head coach Nat St. Laurent on February 16 as they host Elmhurst (Ill.), the first of seven affairs scheduled at Dial-Roberson Stadium for the upcoming season. Last season, ONU would post 14-3 overall and 7-1 conference records to share the OAC Regular Season title. The team would also qualify for the OAC Tournament, finishing the 2018 season in the conference semifinal. Preston had a solid freshman campaign, playing M/FO in 16 games, and here are some 2018 season highlights: He led the team with 89 faceoff wins and a .659 faceoff winning percentage; Was a perfect 9-for-9 in a 17-6 win over Beloit (Wis.) on 3/24/18; Had a career-best 6 ground balls against Beloit and in a 14-3 win at Immaculata (Pa.) on 3/6/18; Posted a career-high 14 faceoff wins (in 19 attempts) in a 10-9 win over Kenyon on 2/20/18.